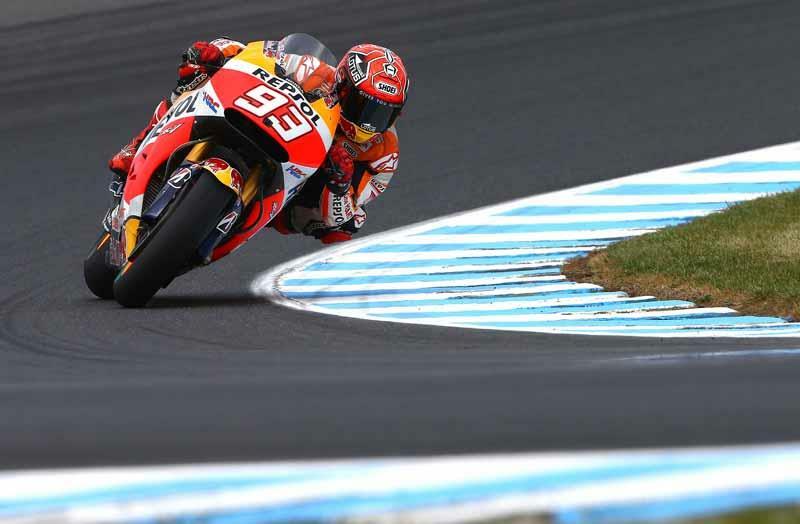 Marc Marquez and Jorge Lorenzo set the pace but Maverick Vinales will steal the headlines after the opening day of practice at Phillip Island. The Spanish trio led the way at the Australian circuit on a hugely competitive day. 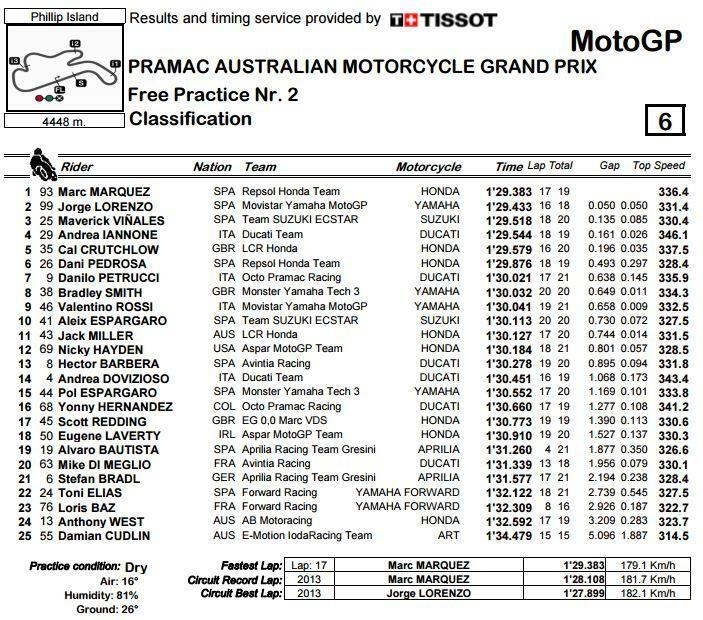 Marquez and Lorenzo look to be exceptionally closely matched however with Valentino Rossi having used a worn rear tyre throughout the session we still have no indication of the Italian's potential. Vinales, riding for Suzuki, has continued to look impressive on the blue machine with the rookie third fastest and just 0.135s off the pace. Vinales wasn't the only Open rider to have an impressive day with Jack Miller consistently capable of getting into the fight for the top ten.